People always say there are way better ways to see a country than through a windshield of a car and two of Samoa’s visitors have taken that saying to heart. 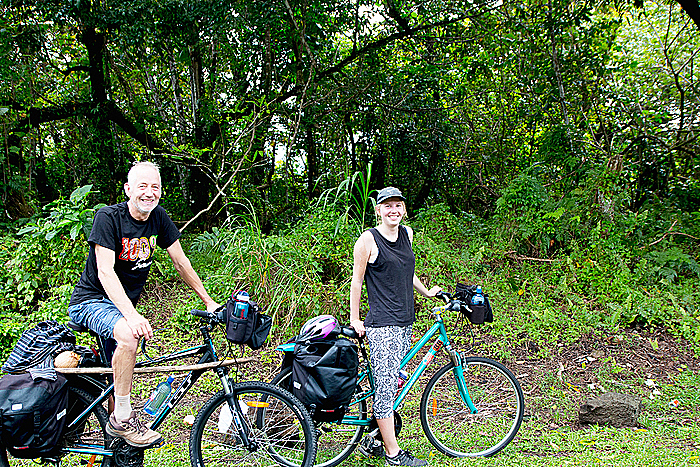 Father and daughter Ernest and Belinda Kilian, from Christchurch, New Zealand, were spotted last week taking a break on the roadside of O le Pupu-pue National Park. Riding their bikes along the main South Coast road, the pair has plans to ride around the whole island but that is yet to be confirmed. 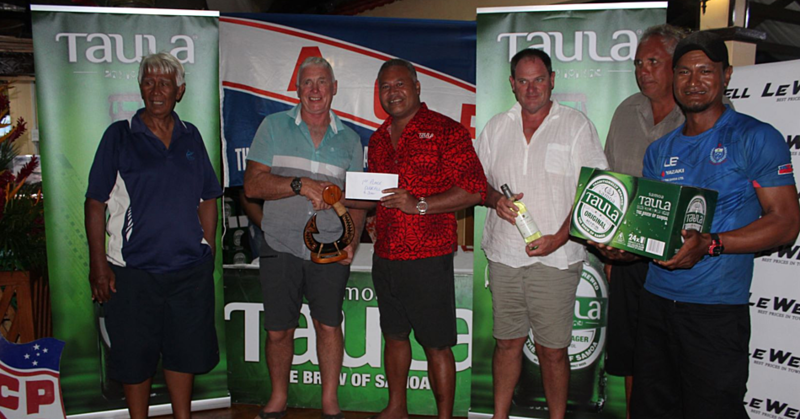 “We don’t know it yet but we will be trying to ride our bike around Samoa,” Ernest told Samoa Observer. According to Ernest, during his travels around the world, Samoa and other Pacific Islands are the most expensive. “Samoa is a very pleasant Island but it is also very expensive. We traveled extensively in Asia and Europe but compared to there, the whole of the South Pacific is expensive.” He said. With this being their first time in Samoa, the pair of tourists has plans to visit other islands in the Pacific. 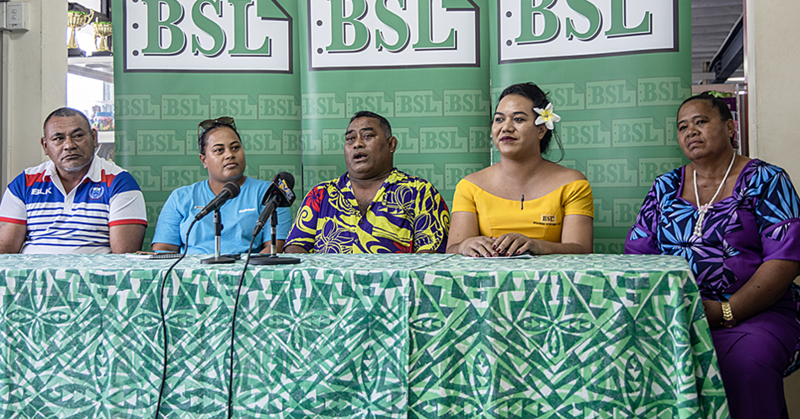 “This is our first time in Samoa but as a preference, we go to islands and the main reason for our visit is that we haven’t been here before,” Ernest said. “We are planning to visit every Island in the Pacific. We will be visiting one every year and Samoa is this year’s choice. Ernest continued on to comment on the lack of advertisements Samoa has in regards to the availability of accommodations. “People are very pleasant and hospitable and it is a pleasure to be here in Samoa,” he said. 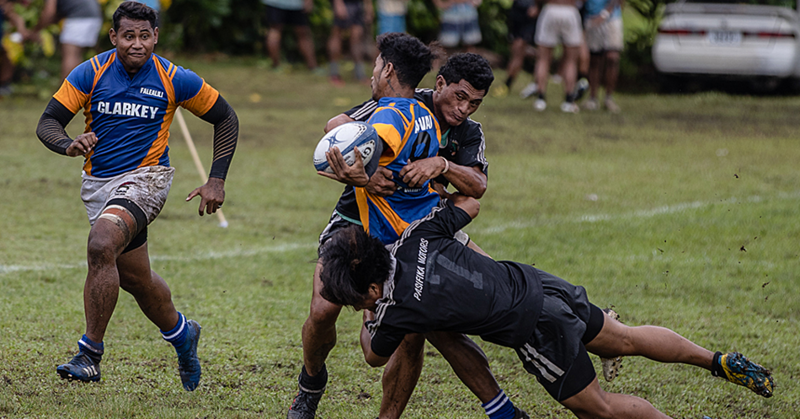 “I tried to do some research before coming to Samoa but it was difficult. It wasn’t clear which resorts were open or not. I’m not talking about the major resorts, they have internet presence but the smaller, family-owned ones have essentially no presence. But what is the development in Samoa for the father and daughter? “Apia is not very attractive,” Ernest said. “We have only been in Samoa for three days out of the two weeks that we will be here so I will have a better feel for Samoa closer to the end of our trip. But all in all, Samoa has left a good impression on Ernest and Belinda during their first three days on the island. “You read everywhere that the people here are very nice and welcoming and that is true,” Ernest said. “Just like many other islands in the South Pacific, Samoa is a developing country and there’s no harm in that. “With regard to poverty I say there is none in Samoa. There are a lot of happy people in this country. If you are in true poverty then you won’t smile anymore, you fight for life. “That is one thing that is very clear to me. It’s also similar in other islands. Most people just smile and that may mean that life might be tough, but it is livable.